Grant Kirkhope's music for Viva Piñata was this year's biggest faller. Vaughan Williams' The Lark Ascending rose from an initial chart position of 18 in 1996 to take the No.1 spot this year. Mascagni's only regularly performed work is this year's highest placed opera – but it's there, ironically, because of the famous orchestral intermezzo. 6. How old were the people who voted in this year's chart? The soundtrack to Shenmue is this year's highest new entry. 8. Which was this year's highest climber? 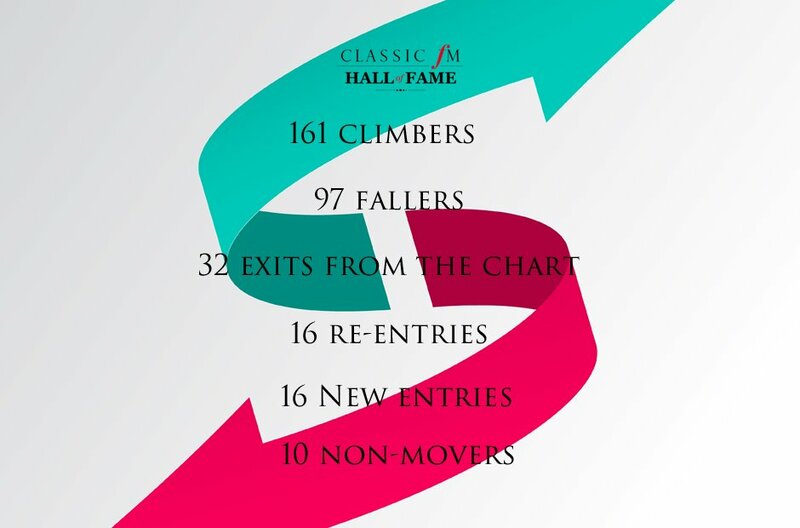 Tchaikovsky's Swan Lake is the highest placed ballet – as it was in the 2015 Hall of Fame too. For the third year in a row Rachmaninov's Piano Concerto No.2 lost out on the top spot to Vaughan Williams' The Lark Ascending.